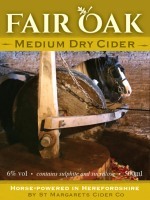 How strong is Fair Oak cider? It has an ABV of 6 to 6.5%. It is not officially organic: but the orchards we use have never been sprayed with pesticides. They are small, redundant orchards where sheep graze for most of the year. Yes, and for vegans: there are no animal products involved in the making. No allergens are used in the making – just apple juice. 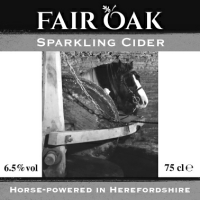 There may be minute traces of sulphites in the cider, but no more than 10 parts per million in volume. How long will bottled cider last? It varies from year to year, but between 12 and 24 months from being bottled. 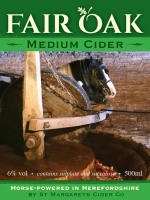 How long will bag-in-box cider last? 3 months unopened and, if kept cool, 1 month after opening.